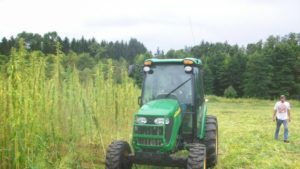 Friday January 19th was the deadline to apply for the 2018 Industrial Hemp Program. The 2018 program is greatly improved over last year! This year permit holders will be able to grow up to 100 acres and new to this year CBD and other extractions are allowed. Institutional applicants are allowed unlimited acreage. We spent all the previous week trying to help people with their applications and seed sourcing. High CBD seed sourcing has been problematic as we are still not allowed to get seed from other states and we were unable to locate international sources willing to export to the US. We had hoped that we would be able to have a few farmers be able to participate under our permit as we work to develop the National Industrial Hemp Center of Excellence However time restraints and logistics made that impossible for us to pull off this year. Fortunately several farmers were willing to individually apply to run some varietal trials for the fiber varieties we will need to supply the CoE. We hope to get 1000 acres in the ground this year to get the nation’s first full commercial scale decortication machinery (for fiber production) up and running. It will then be our intention to expand that to around 8000 acres at which time we would contract PA farmers to grow the crop. 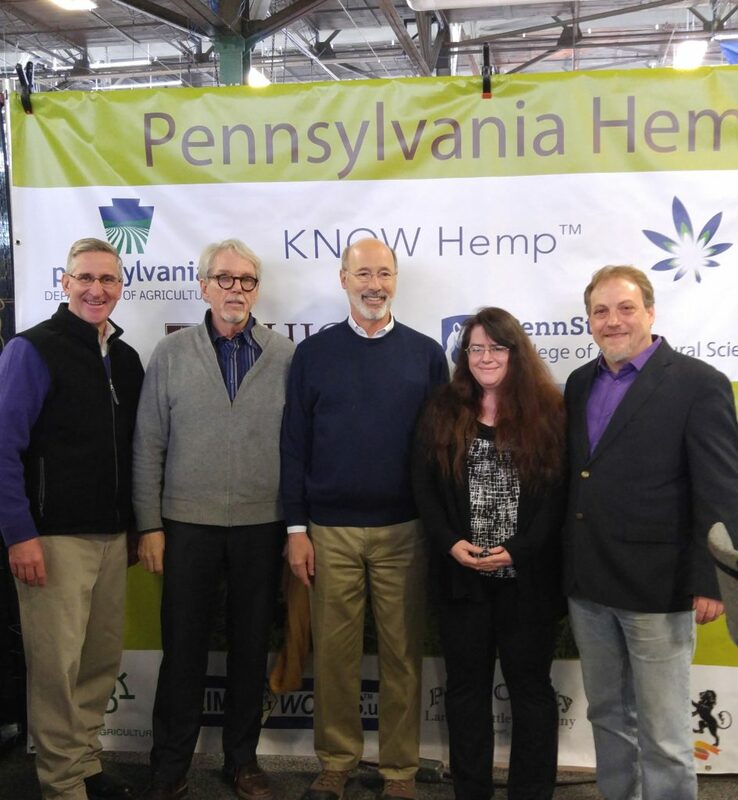 Already there has been interest from PA manufacturers to start incorporating hemp into their processes and we anticipate many more once a reliable supply chain is established. We anxiously await finding out how many permits were submitted and will be approved. We believe that the department will get close to the goal of having all 50 permits allocated. 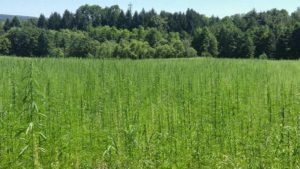 No matter what we will see a huge increase in the number of permits and acreage over last years approximately 60 acres with the potential of there being literally thousands of acres of emerald hemp fields gracing the Pennsylvania landscape! January 1, 2018 / PAHIC / Comments Off on 2017 was an historic year for hemp in Pennsylvania! 2017 was the busiest and most amazing year we have ever had! It was intense. It was profound. In some ways we fulfilled lifelong dreams and changed the landscape, both political and physical forever. 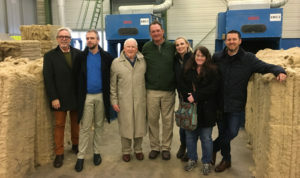 The PAHIC board consists of President, Geoff Whaling, Executive Director, Erica McBride and board members Les Stark, Riley Cote and Adam Thompson. Below is a recap of the work we’ve undertaken on behalf of our membership. All of our efforts depend on the support of our valued members. If you are not already a member please join today! I’d also recommend a quick look at Pure Green Living (http://www.puregreenliving.com/category/cbd-deals). They have a great range of CBD and hemp related gear! There are so many different products that you can get now though that involve hemp. For example, you might find that using something like this hemp lip gloss is the way forward. But it’s to you to find what works best for you. Join us for a trip down memory lane. January 6 we went to the Pennsylvania State Department of Agriculture building in Harrisburg to put in our permit applications to become a part of the first legal wave of hemp farmers in over 80 years. It was exciting but nowhere near the excitement that was yet to come. 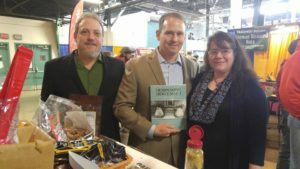 January 10 we started off the year with a press conference at the Pennsylvania State Farm Show in Harrisburg with Representative Eric Nelson of Westmoreland County. 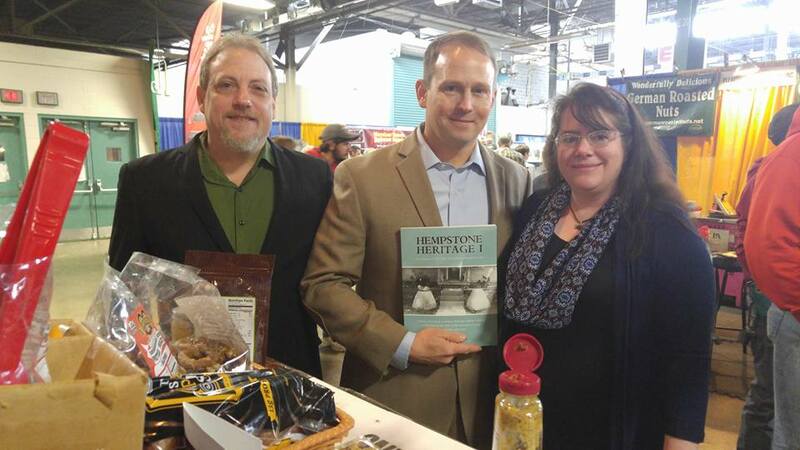 Nelson is a strong supporter of hemp and developing the hemp industry in the western part of the state. Here is a short slide show of the event. 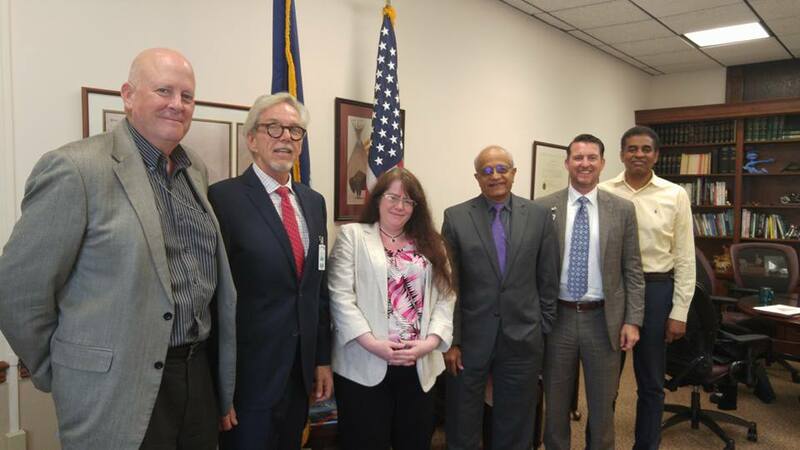 January 30 we met with Governor Wolf’s Chief Policy Advisor Secretary Gallbally. 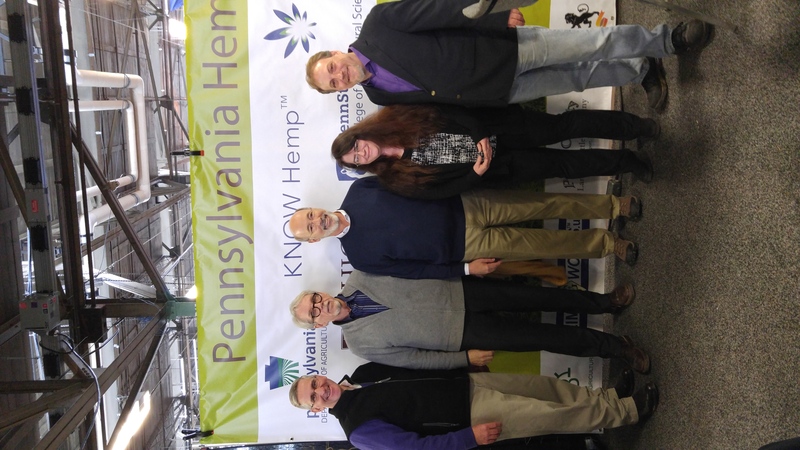 We pressed our message to the governor that Pennsylvania had to put forth a bolder vision for the hemp program. We impressed upon the administration the great importance this industry could have to the state. February 4 We travelled to Penn State for the annual meeting of the Pennsylvania Association of Sustainable Agriculture (PASA). 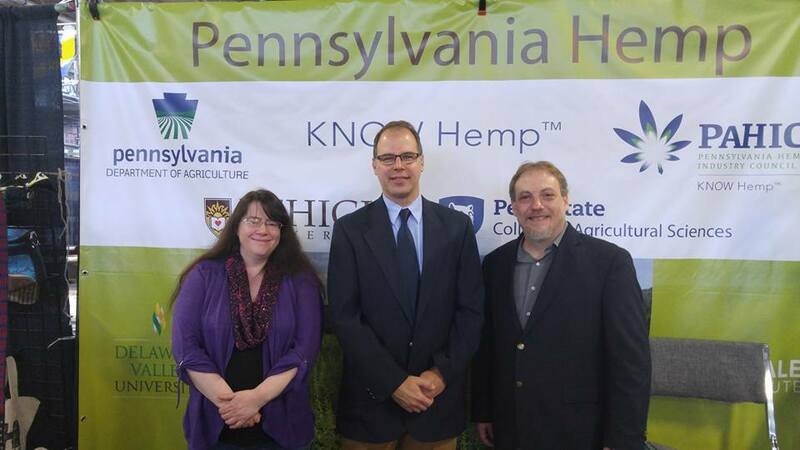 We gave a presentation about the Pennsylvania hemp program for 2017. Interest was strong and her lecture was well attended. 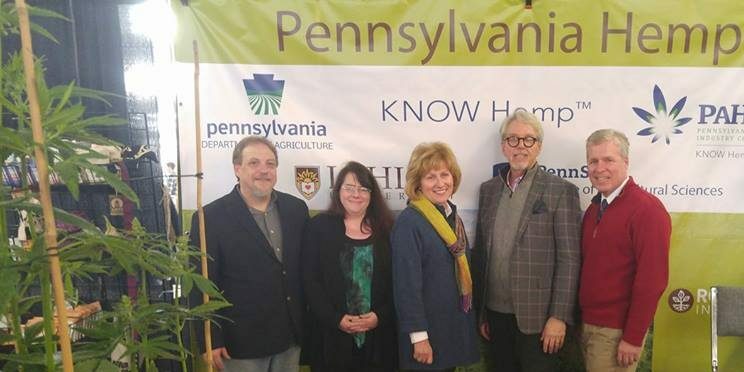 February 8 we met with Pa. Secretary of Agriculture and other representatives of the PDA to discuss our concerns with the hemp program. 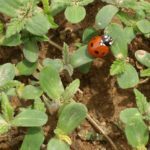 Specifically, we wanted to end the five acre cap and we wanted the ability to get seeds from Kentucky instead of being forced to get seeds from Canada. 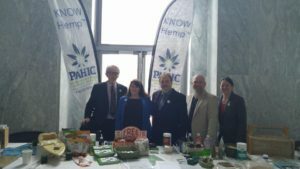 On February 27 and 28 was a Washington D.C. event called Hemp on the Hill. It was a two day lobbying event for industrial hemp. 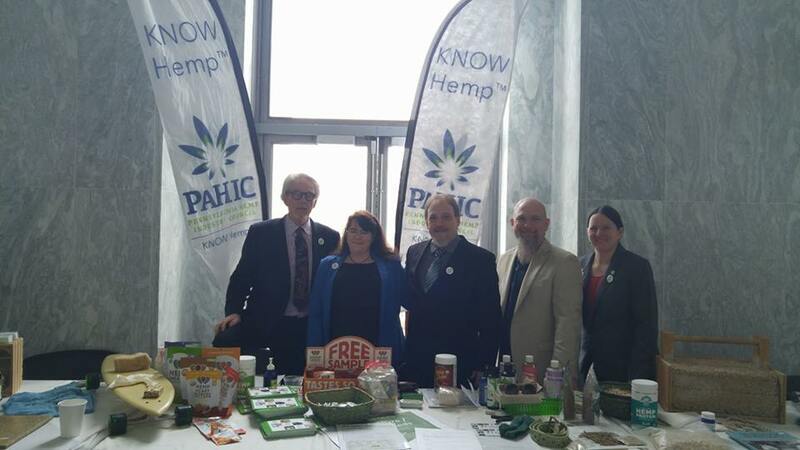 We set up a table in the Rayburn building along with hemp organizations from around the country and we were joined by host Congressman Jared Polis and Co-hosts Congressman Earl Blumenauer, congressman Thomas Massie, & Congressman James Comer with Honorary Co-host Senator Ron Wyden. We broke up into teams and collectively visited with many members of congress. 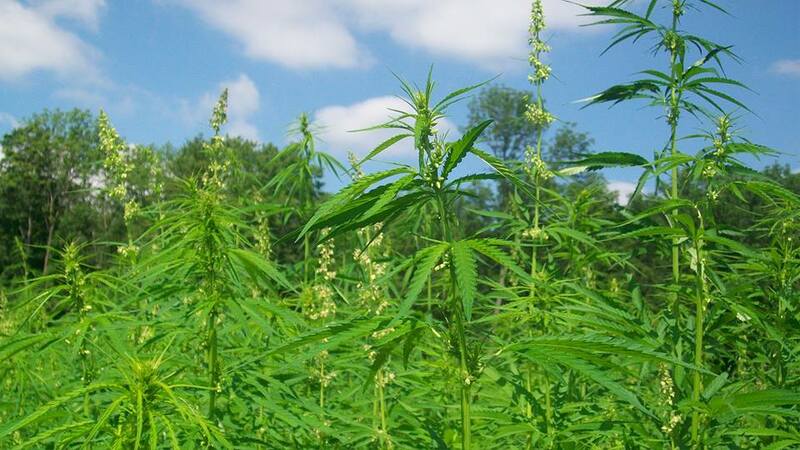 The goal was to advance federal hemp legislation that will blow open full commercial production of hemp nationwide. Among the meetings we attended was with Congressman G.T. Thompson, who we later successfully persuaded to sign on as a cosponsor to HR3530. Another successful meeting was with our Congressman from Berks County Ryan Costello. He also signed on as a cosponsor to HR3530. 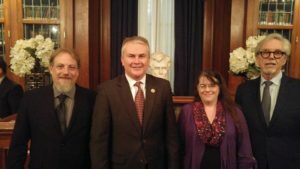 On the 28th we met the sponsor of HR3530, James Comer of Kentucky. 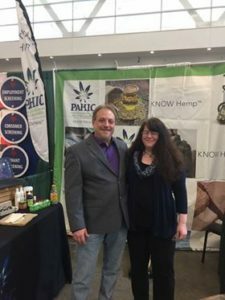 April 21 to April 22 we headed out to Pittsburgh for a two day event called the World Medical Cannabis Conference where we were asked lots of marijuana questions. We had a booth where we again told everyone about the Pa. hemp program and educated about hemp. 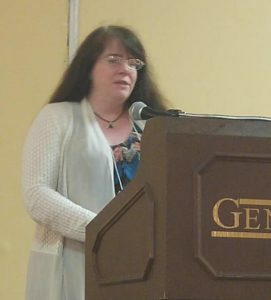 While there Erica participated in two panel discussions, hosting one and speaking on another. 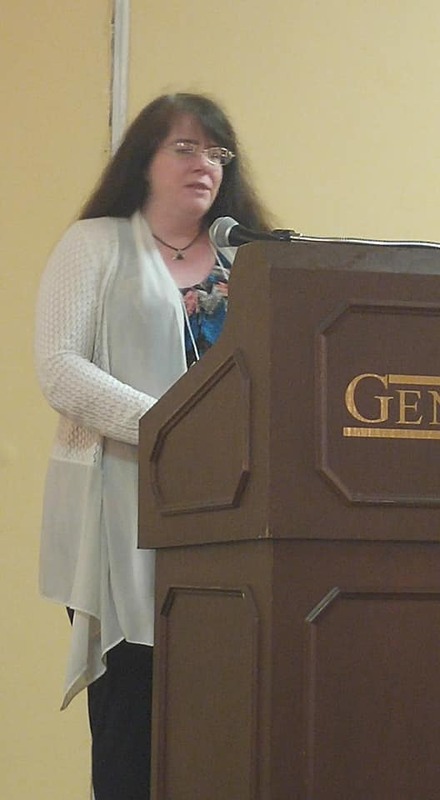 She spoke on “Industrial Hemp and the Opportunities Beyond CBD” and hosted on “Ag Tech and Sustainability”. May 31 was certainly a day to remember. 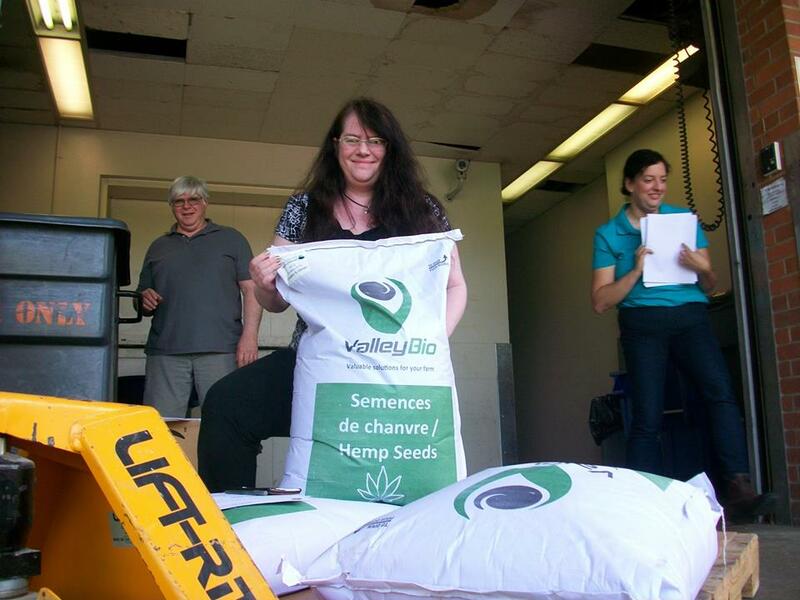 We went to Harrisburg to pick up 670 pounds of hempseed, enough to plant 15 acres of hemp for our approved trials. Of all the memorable moments of this year, this in some ways was the best. It was the first time that the whole thing felt real. Here is the photo album of that day. June 3 we planted a few more acres of hemp at Pinchot State Forest just outside of Wilkes Barre. The site was on an abandoned anthracite mine and the goal was soil remediation/land reclamation. If we can make it successful there we may have the opportunity to remediate many thousands of acres of similarly damaged land in the state! We had a lot of volunteers to help us. Here are photos of the day. 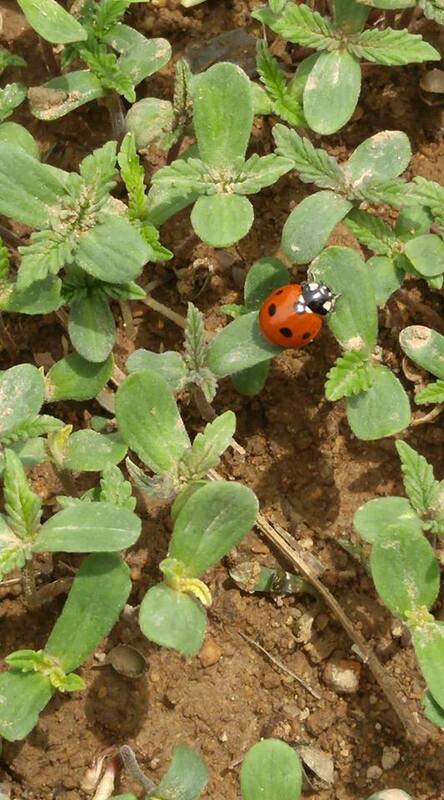 June 8 One week after planting, we check our field in Lehigh and to our happy surprise the hemp was sprouting! 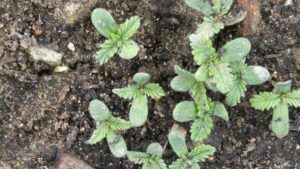 It was a thrill to see the little baby hemp plants populating the five acre field. 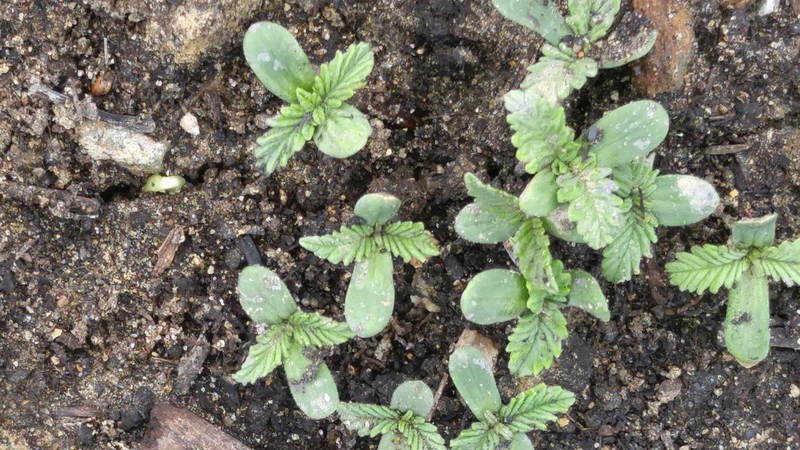 Here are pictures of the first batch of hemp sprouting in the state. June 10 we held an event called the Hemp History Day and Celebration. We were joined by State Senators Judy Schwank and Mike Folmer, Representative Russ Diamond, Pa. Secretary of Agriculture Russ Redding and other members of the PDA and many others. 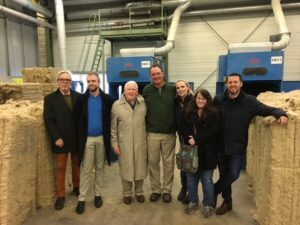 We had live music and events, a hempcrete workshop, hempseed oil pressing and other hemp businesses represented and we led a group to visit our field to see the young sprouting hemp. June 12 we checked out the project in Pinchot State Forest and were thrilled to see hemp sprouting throughout the field. 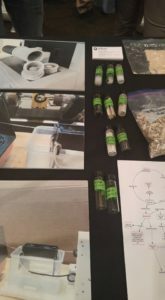 To learn about this important project click on this link to see the photos and a description of what we are attempting to do there. June 15 was the two week anniversary of our first hemp planting so we stopped by the field in Lehigh to check out their progress. It was thrilling to see them growing. 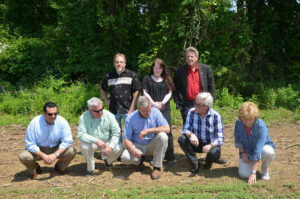 June 22 we attended the PA Abandoned Mine Reclamation Conference. The theme of the conference was “The Future of Reclamation in PA”. We gave a power point presentation about the hemp project we are doing in the nearby Pinchot State Forest on the site of an abandoned anthracite mine. 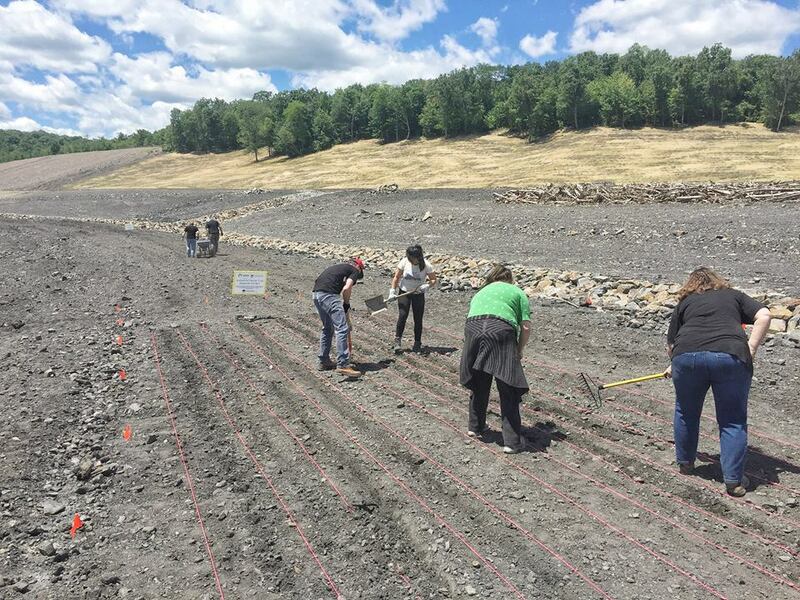 June 25 we did a second planting with volunteers at the site at Pinchot State Forest. 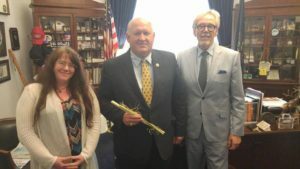 June 28 we went to Washington D.C. to meet with United States Secretary of Agriculture Sonny Perdue to discuss official department policy concerning federal hemp regulations. July 2 We visited both fields. The field in Pinchot and the field in Lehigh where we found our prediction of “knee high by July” to be true. July 10 we visited the hemp field in Lehigh and installed bee hives to help pollinate the hemp and to make succulent honey. 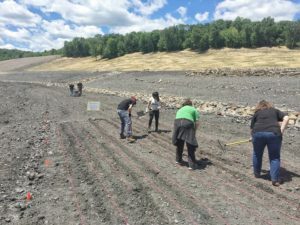 July 15 we visited the site at Pinchot State Forest to dig up soil samples to be used in experimental growing over the winter to find what works and what doesn’t. July 16 we visited the field in Lehigh to find plants up to seven feet tall! Check out the updates from July 23, July 30 and August 2 when the plants were 10 ft. tall. August 4 We set up a stand at the Hemp Heals Festival in Philadelphia at Festival Pier. 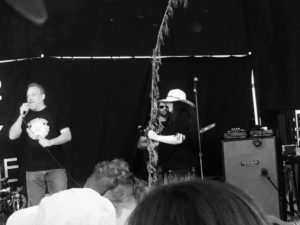 We made a speech from the main stage in front of about 6,000 people. 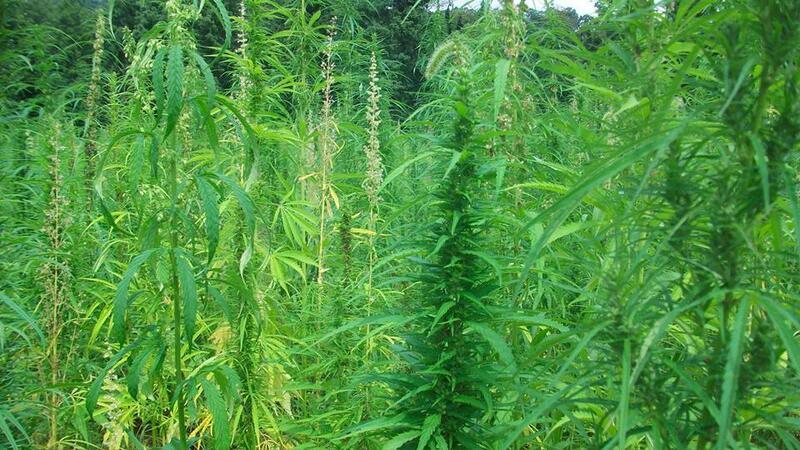 We took with us a 10 ft. stalk from our Lehigh hemp field. 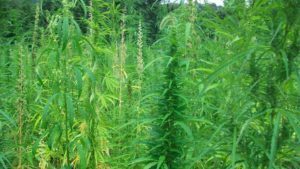 August 12 we visited our friend’s five acre hemp crop in Perry County grown by the Perry County Land and Cattle Company. August 15 was Ag Progress Days at Penn State. 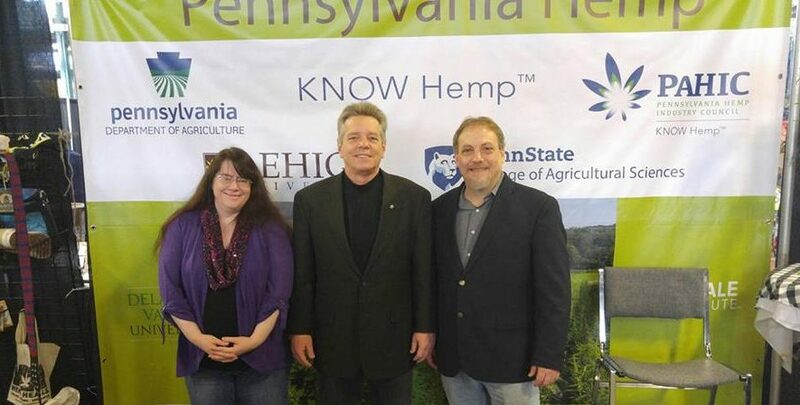 We gave a one hour lecture and powerpoint presentation about the history of hemp in Pennsylvania and a one hour presentation on our current hemp projects. August 25 we were there for another historic day! 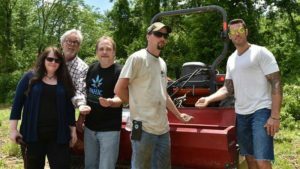 We witnessed the first legal hemp harvest in Pennsylvania done by the Rodale Institute in Berks County! 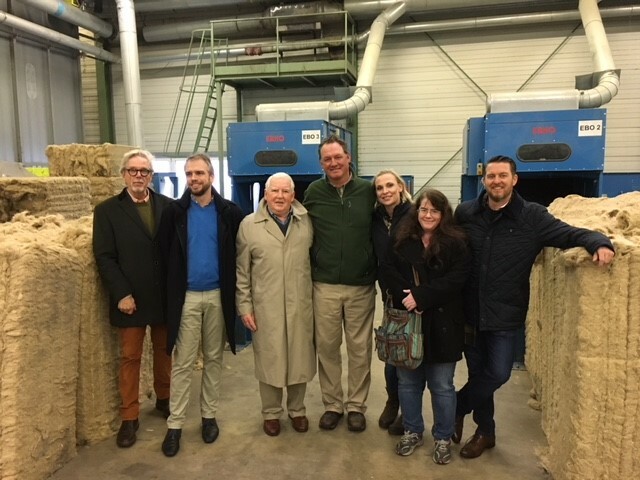 September 1 was another historic day as we watched our friends in Montour County harvest their hemp along with the Pa. Secretary of Agriculture along with other members of the PDA and state reps.
September 2 – Finally it was OUR historic day – the harvest of our hemp crop in Lehigh! It was a thrilling day. September 12 and September 13 we spent two days in Washington D.C. We met with members of the PA delegation to persuade them to sign on as a cosponsor to HR3530, the federal hemp legislation. We also met with members of the U.S. Dept. of Agriculture and NIFA to discuss the creation of the National Industrial Hemp Center of Excellence right here in PA! 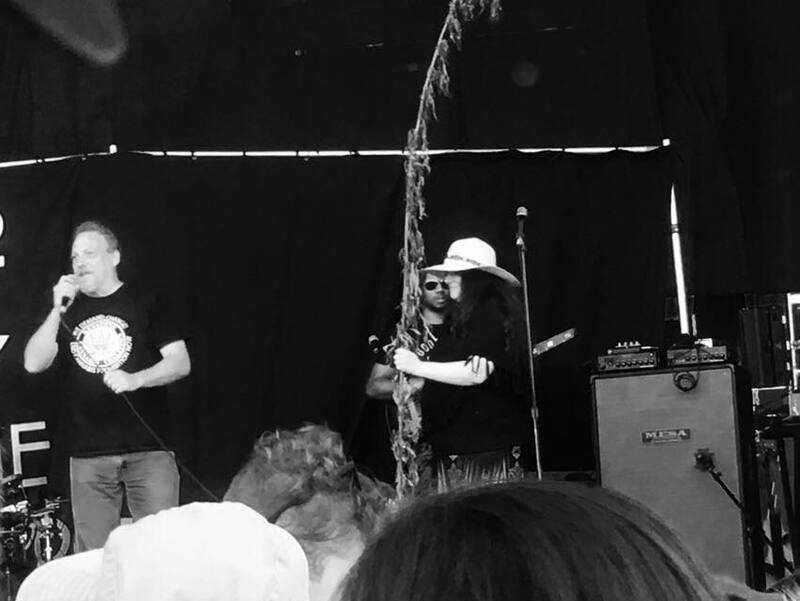 September 16 we were thrilled to have the opportunity to set up in the Homegrown Village at Farm Aid this year. We teamed up with othe National Hemp Association, Limeworks and Hemp Heals Foundation. It’s always a wonderful thing to have such an opportunity to educate not only the general public but also farmers. 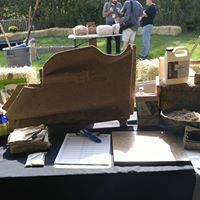 Our friends at Limeworks conducted a full, hands on hempcrete workshop. October 13 we helped set up a stand for Jefferson University at the DVIRC Greater Manufacturing Summit. 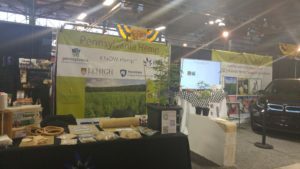 We let the manufacturing community know all about the exciting opportunities with industrial hemp. October 24 We attended the Pennsylvania Department of Agriculture stakeholders meeting. There, all of hemp farmers participating in the first year of trials gathered to share our experiences and discuss how we can do better in year two. We made recommendation for how the PDA could improve the program for 2018. October 25 We went to DC to have a meeting with top DEA officials to discuss the Hemp Statement of Principals and the impact is it having on states implementing their hemp programs. 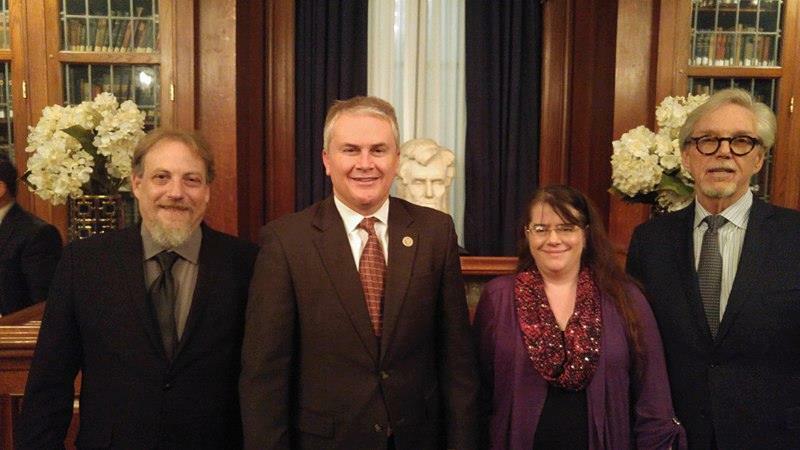 November 27 We attended a fundraiser for Kentucky Congressman James Comer in Philadelphia. Comer is the prime sponsor of federal hemp legislation, HR3530. December 10 to 15 We put together a delegation and travelled to Holland and Germany to witness the processing of hemp and meet with parties who are interested the creation of the National Industrial Hemp Center of Excellence in the Lehigh Valley. All of our efforts depend on the support of our valued members. If you are not already a member please join today! We had a tremendous year in 2017. We brought back hemp to the fields of Pennsylvania and successfully influenced the expansion of the Pennsylvania hemp program for 2018, got cosponsors for federal hemp legislation and laid the foundation for a great hemp industry in the state!